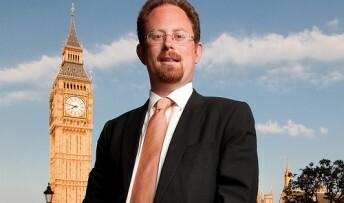 MP Julian Huppert is to take the case of Cambridge’s broken pavements to Parliament when he leads a debate in Westminster tomorrow (Tuesday, February 4). Julian will tell MPs how many problems are caused for people in wheelchairs, people using pushchairs, the elderly, the disabled, and those with visual impairments by the poor state of the pavements. His debate comes just weeks after he launched a campaign with Paralympic rowing hopeful, Claire Connon (pictured with Julian) to highlight the problem in Cambridge and called on residents to report broken pavements across the city. The campaign has drawn numerous examples of dangerous and broken pavements as residents log onto the website www.fixourpavements.co.uk to report their findings. 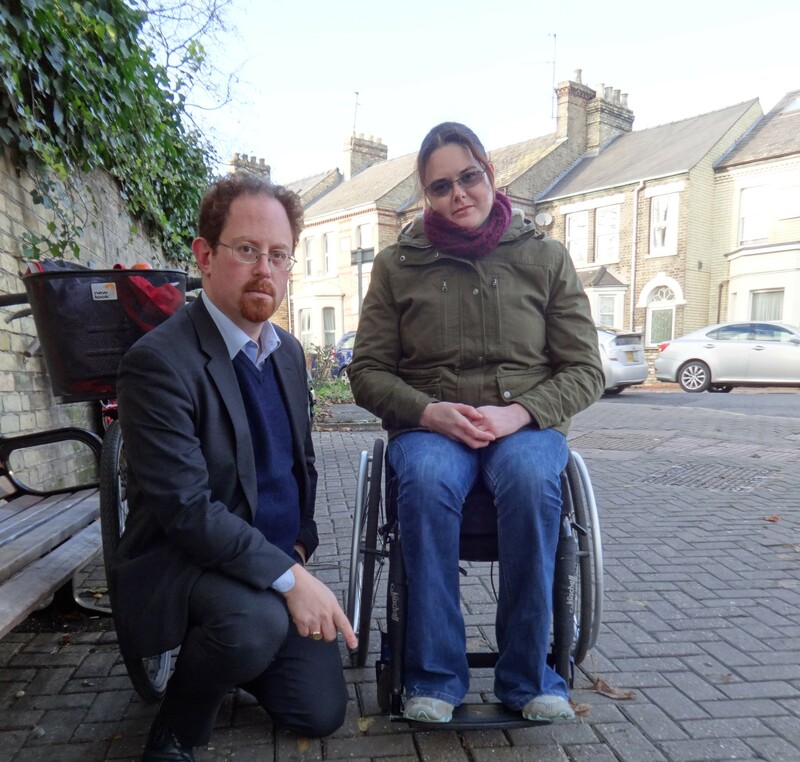 Julian said: “Some of our pavements in Cambridge are so dangerous they are unusable for many people. We have broken and cracked paving slabs and uneven surfaces making them impassable for the elderly, people in wheelchairs and those with children in pushchairs. “When I went out in a wheelchair, I was struck by just how hard so many pavements were to use. We need work to fix them once and for all – too often I have heard of places where they are repeatedly fixed but break up again. There are particular problems when roadworks are not put back properly. Claire, who is tipped for a place in the 2016 Rio Paralympics, took Julian and city and county councillors on a wheelchair tour of the city last year to give them first-hand experience of how difficult it is to navigate cracked and broken pavements in a wheelchair. He added: “We have had an excellent response to our campaign so far. It is absolutely clear that people are fed up with having to navigate cracked and broken pavements and they want something done about it. Last year, around November, I raised a similar concern with Canterbury City Council, in Sydney. I’m going to raise it again next week when I have a meeting with them. I’d love to learn more about the development(s) of this issue for our local campaign. PS. Best wishes for Claire Connon in her quest for 2016 Rio Paralympics.